Welcome to our Outdoors Adventure Activities, Team Building and Paintball website for Families, individuals, birthday groups, stag party weekends, hen parties and corporate team building events. Everything is green and budding! If you are looking for outdoor activities for a celebration or team building event we can help you plan a fantastic event to remember! Join our family activity days Archery, rifle shooting, raft building, canoeing and gorge scrambling! Why not get in touch with us or have a look at whats happening all year round for individuals, couples and family groups on our events page, if you don't see anything that suits you, let us know and we will put something on of your choice. Are you struggling to think of perfect presents for friends and family? We can provide gift vouchers to suit all! No need to specify the activity or date when you book, this can be confirmed later!! Either a half or a full day of activities, it doesn't need to be a group, one or two vouchers is fine. Why not buy one for each of your family and organise your own day out together!! Vouchers are valid for 12 months from the purchase date and the date and activity can be confirmed by the recipient. Just email us at info@adventure21.co.uk and we'll send you all the details. Our office is Open 10.00am till 3.00pm 7 days a week. Please note that during busy times the telephone booking service will not be available but e-mails will be answered as they come in. right by the Lake at Coniston Water. If you can't travel far we also run outdoor adventure activities and Paintball close to Lancashire, Manchester and Liverpool. Paintball, South Cumbria, Lake District Paintball, and paintball in Lancashire, ideal for stag parties and hen party weekends close to Barrow, Coniston, Windermere, Bowness, Kendal, Keswick, penrith or Ambleside in the Lake District, Cumbria, and Blackburn close to Manchester, Chorley, Leyland, Wigan, Bolton and Preston. CHECK OUT OUR TRIP ADVISOR REVIEWS - WE HAVE BECOME THE MOST TALKED ABOUT PAINTBALL PROVIDER IN THE NORTH WEST OF ENGLAND FOR FUN, SAFETY AND VALUE FOR MONEY! We want to give you the very best day out! 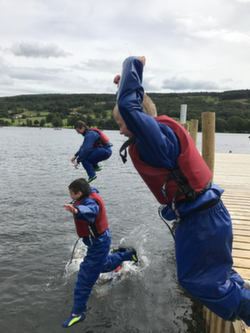 We offer a complete adventure activities service, our customer's are supplied with wet suits for wet activities and full waterproofs, which are "clean and dry" and with over 150 wet-suits on site we have sizes to fit everyone! and we mean EVERYONE! All this come's as standard, with every group, there are no hidden charges and when we say a three hour session or six hour day, that is what you get!
. They are CRB checked and they carry safety equipment including first aid kits and group / team safety shelters as standard. 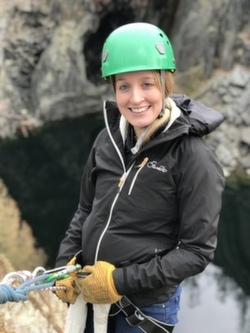 All our instructors are qualified and experienced in the activities they lead, they are hand picked to lead the sessions in a fun and friendly way. 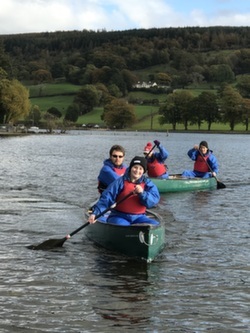 organize professionally run, fun outdoor adventure pursuits activities and Paintball for corporate team building events, management & social groups, hen party, stag party weekends, adult and junior birthday parties, family fun days, Junior school's trips, secondary school group trips as well as college and youth group trips. All our adventure activities, outdoor pursuits and paintball sessions are run with the emphasis on safety, professionalism, fun, friendliness and customer satisfaction, we pride ourselves on the 90% repeat custom we get. check out our FACEBOOK GROUP and CUSTOMER COMMENTS to see what people say about us. Fishing, Bushcraft day courses, and Bush craft and wilderness camps.